70% VG (6mg only) - great for sub ohm vaping! 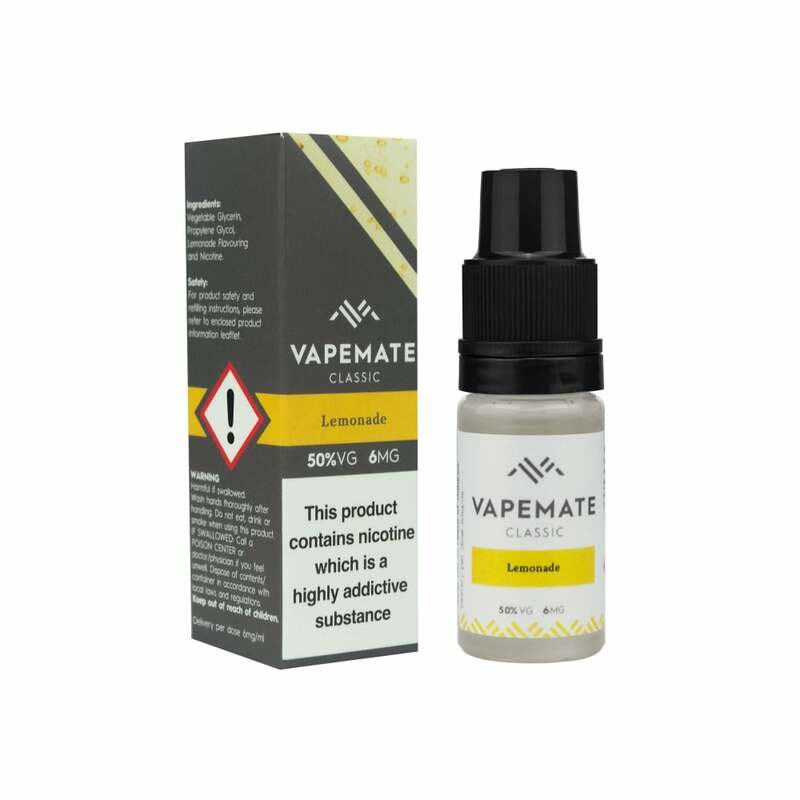 This Vapemate e-juice brings about thoughts of summer in American suburbia, white picket fences and perfectly groomed hedges in check with front garden lemonade stands lining the residential streets. Relive cool summer evenings whenever you want with this lemon infused blend, dotted with sweetness. Fluffy, happy lemon yellow flavoured clouds will pop out of your personal vaping device, ready to brighten up any moment with soft lemonade freshness.